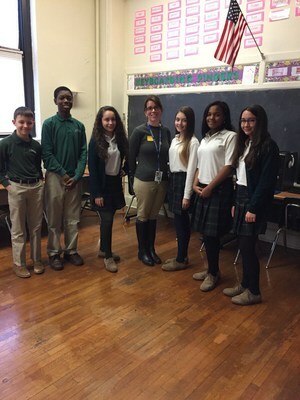 Union Catholic’s Grade 6-16 Virtual Catholic School program began at three new schools this past week, generating lots of excitement at Union Catholic and at the schools involved. 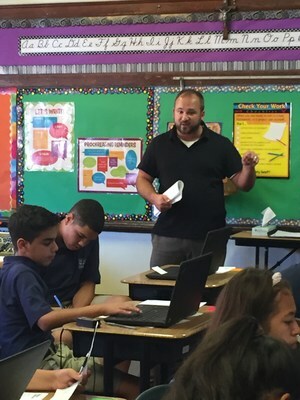 Students at St. Genevieve in Elizabeth, Our Lady of Guadalupe in Elizabeth, and St. John the Apostle in Clark are enrolled in the Research & Writing class, which began this past Wednesday. 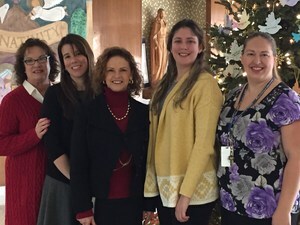 There are now a total of six schools that are involved the Spring Semester in the 6-16 Virtual Catholic School program, which was launched three years ago. The other three schools are The Assumption School in Perth Amboy, the Academy of St. Joseph of the Palisades in West New York, and the St. Augustine School in Union City. Students in the program will spend three to four hours a week in the virtual learning class over a 15-week period. Noreen Andrews, Union Catholic’s Virtual Learning Coordinator, is thrilled about the addition of St. Genevieve, Our Lady of Guadalupe, and St. John the Apostle. Union Catholic teacher Kathy Webber wrote the course and has been the on-line Research & Writing teacher since the inception of the program. Webber teaches English Accelerated on the freshman level and AP English at Union Catholic, and is the media specialist at Union Catholic. She has taught every English course possible on the freshman level. Webber is very excited to see the growth of the Grade 6-16 Virtual Catholic School program.